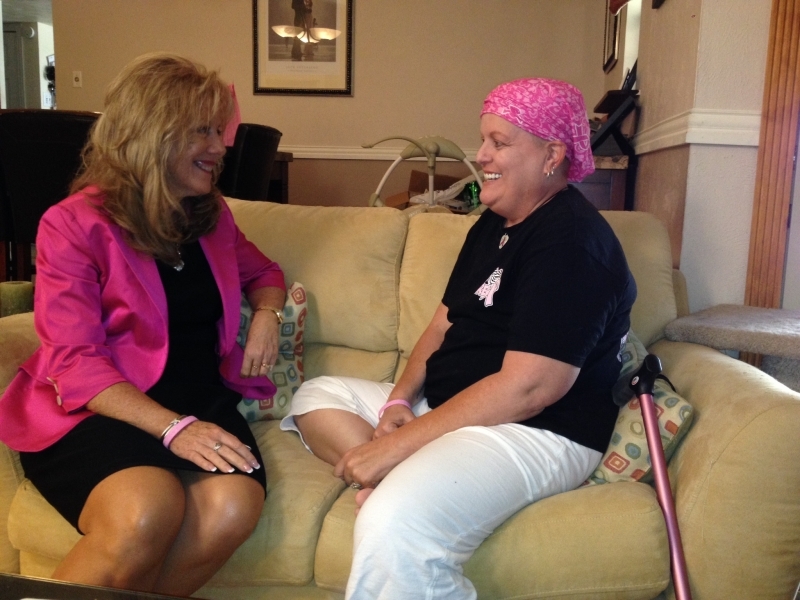 female cancer patients as they can in the United States. Women undergoing treatment for cancer are eligible for a professional housecleaning completely free once a month, for four consecutive months. 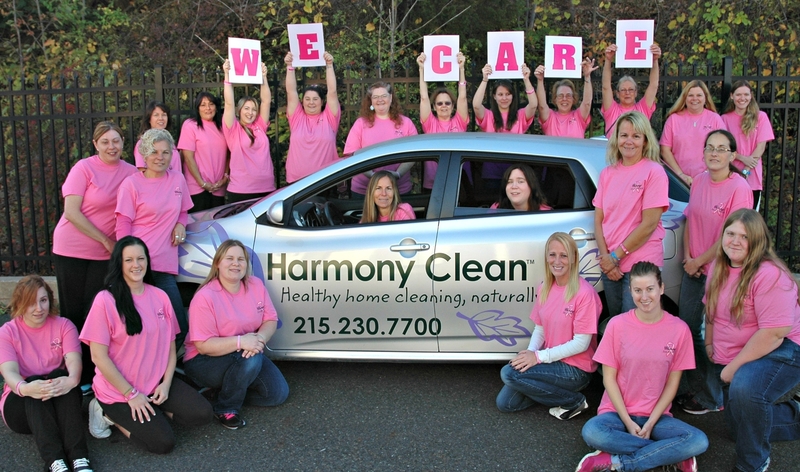 In just 10 years, Cleaning For A Reason has been able to clean the homes of over 18,000 women with cancer. The story of Cleaning For A Reason began 35 years ago, when Debbie turned a job of cleaning houses out of the back of her car into a home cleaning business called Buckets and Bows. Under Debbie’s leadership, Buckets and Bows grew quickly. But as business expanded, Debbie began to encounter people that needed her help on another level. There was one call in particular that got Debbie thinking. “I remember taking a call from a woman who had phoned to inquire about our service and the prices. I gave her the quote over the phone and she said, ‘Oh, I can’t really afford that right now, I’m going through chemotherapy and radiation and I’m not working. Maybe I can afford you later on down the road.’ And she hung up.” After the call, Debbie was distraught. “I remember sitting there and thinking ‘Oh my goodness. What just happened? Why didn’t I think to give this woman her cleaning for free? I can certainly afford it. I don’t need every customer,’” Debbie says. It was the days before caller ID, and so Debbie had no way of calling the woman back. “I just sat there kind of stunned that it didn’t occur to me to give her the cleaning for free...and I felt terrible,” she recalls. That day, Debbie called an all company meeting. “I said the next time a woman calls our office and indicates that she has cancer and cannot afford us, just give her the cleaning for free.” And so, a company policy was formed. The company policy continued on for several years and Bucket and Bows was able to help both women in their local Texas community as well as their own employees. Debbie saw how much something as simple as having a clean house could help these women. To date, Cleaning For A Reason has cleaned over 17,000 women’s homes all across the country, and it isn’t planning on slowing down anytime soon. One of the reasons that Cleaning For A Reason has been so successful is because people feel embarrassed asking for a friend or family member to clean their bathroom or scrub their floors, even if it’s what they really need. “People will accept help from a professional because it’s not as embarrassing..they feel guilty or weak or embarrassed accepting that kind of help from a friend or family member” Debbie says. Cleaning For A Reason helps solve that problem by offering women a professional service for free. It’s a way for women to get the type help that they need the most when they are fighting cancer. We’re sure the over 1,200 cleaning services and 17,000 women all across the country who have taken part in Cleaning For A Reason agree. What started out as simply one woman insisting that her company do the right thing has turned into a national movement that has impacted thousands of lives and serves as an inspiration for us all. Cleaning For A Reason is one of Wellist’s preferred service providers. You can find Cleaning For A Reason and 5000+ additional service providers at Wellist.com. Wellist provides a one-stop resource for patients and their caregivers and families to help with everyday tasks, from from rides to treatments, to meal delivery, acupuncturists, support groups, and more.